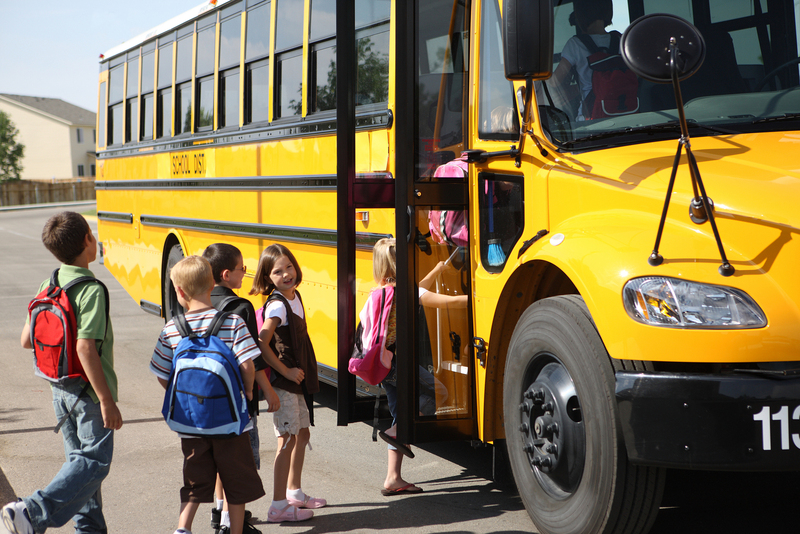 School buses transport more than 1 million children to and from nearly 9,000 schools each weekday in Texas. When the folding door opens and their kiddos bound up the steps of the big yellow bus, parents watch on with confidence that their children will arrive to their destination safely. The sad fact is that mistakes are made by motorists, bus drivers and school districts, which can result in serious crashes and severe injuries. Prior to the ’80s, school buses weren’t much more than thin metal bolted to steel chassis with four wheels and a big diesel motor. Children involved in a bus accident back then was the equivalent of placing an egg in a metal box and throwing it down a flight of stairs with hopes that the egg came out unbroken. Until very recently, most school buses didn’t even come equipped with seat belts. Texas school districts now require that buses purchased after 2018 must contain three-point seat belts under the Ashley and Alicia’s Law, named after two Texas students who died when their bus overturned. The Texas legislature passed the law after another tragic accident in which a Texas school bus plunged from an overpass and killed two students. None of the students were wearing seatbelts. In the world of Texas law, which has some of the strongest protections for public schools from lawsuits, the only way a school and its district can be successfully sued is if the injury occurred because of the operation or use of a motor vehicle. “It’s an unfortunate reality that school districts are immune from liability. I’ve conferred with many parents over the years, and there is little that can be done if a child is injured at school,” Brad Parker says. Brad says that once parents have made sure their son or daughter is OK and that they have received medical care if necessary, parents should confer with school officials. “Find out the facts the best you can. While the school has governmental immunities, there are provisions in the law related to liability on the part of the school bus driver. Depending on the severity of the injury, it may be a wise decision to consult with an attorney,” Brad says. March 23, 2017 - A deadly Mount Pleasant school bus accident killed a track coach and a truck driver on Highway 271 in East Texas. Bradley Farmer was driving the 18-wheeler truck that swerved across Highway 271 into the path of a Mt. Pleasant school bus carrying members of the school's boys track team. The school bus driver, track coach Van Bowen, was able to get out of the way and avoid a full head-on collision, but Angelica Beard, a 30-year-old assistant coach for the school traveling behind the school bus, was hit by the 18-wheeler. Beard and Bradley both died at the scene. Van Bowen and 18 students were injured and treated at local hospitals. According to the final DPS crash report, toxicology reports from the Dallas County Medical Examiner's Office show that the truck driver, Bradley Farmer, had methamphetamine in his system. Jan. 19, 2018 - A police chase that started in Murphy ended in a multi-car crash that included a Plano ISD school bus. Police say the incident started in Murphy with a possible DWI suspect. Feb. 12, 2018 - A trooper who collided into the front of a school bus on Feb. 12 suffered from a medical illness at the time of the incident, the Texas Department of Public Safety has confirmed to KVUE. Trooper Eligio Garcia Jr., 47 was released from the hospital Feb. 16 and is recuperating. The wreck happened near the intersection of Springdale Road and East Martin Luther King Jr. Boulevard in Austin. One child was taken to a hospital, another was taken to an urgent care facility, and the driver of another vehicle was treated and released on scene. March 28, 2018 - Four members of a North Texas high school golf team were injured when the school bus taking them to a golf course overturned. The bus failed to negotiate a curve on rain-slick Farm Road 373 and rolled into a roadside ditch about 4 miles (6 kilometers) north of Muenster. Four students were taken to North Texas Medical Center in Gainesville. Three were discharged and one will be kept overnight for observation. The coach wasn’t injured. April 18, 2018 - More than two dozen students and adult chaperones were taken to Houston-area hospitals Wednesday following a traffic collision involving two school buses carrying fifth-graders. The Navasota Independent School District says in a statement that three buses were carrying about 95 students and staff Wednesday to a Houston museum from an elementary school in Navasota, northwest of Houston. A dump truck rear-ended one of the buses, pushing it into the back of a second bus. Officials say 25 students and five adults were taken to hospitals.